My husband, the veteran. He’d describe himself as many things – a husband, a father, a rabid Mets fan – but he’s also a former member of the United States Navy, and it’s something I’m extremely proud of. He doesn’t talk much about his six years on a nuclear submarine, but I know he’s proud of it too, which is why I decided to surprise him this past Veteran’s Day with two of his favorite things: good coffee and good muffins. To get both items, I headed to Sam’s Club. If you’re not already a bulk store shopper, you definitely should be! They truly have everything, and they have it in bulk, which means you’ll save tons of money. While there, I spotted one of his favorite coffee brands – Starbucks – and their new seasonal Limited Edition Holiday Blend. 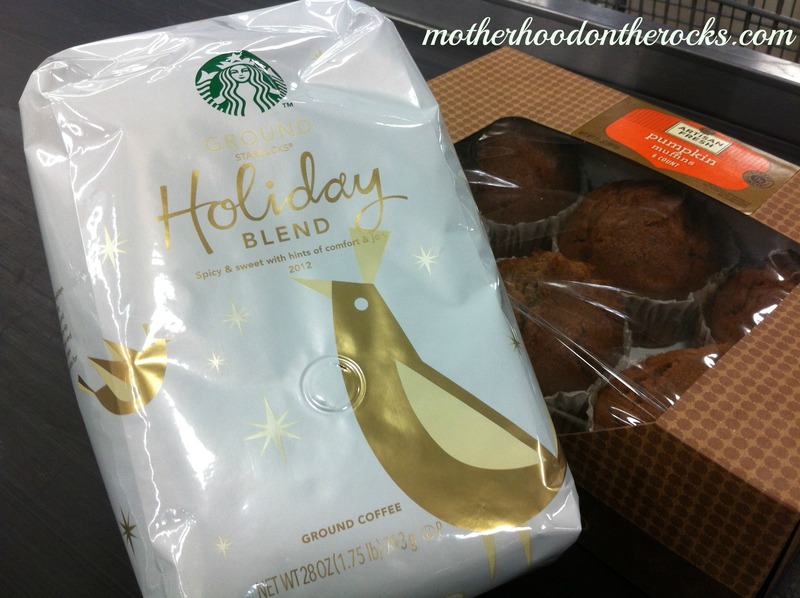 According to Starbucks, the Holiday Blend is a combination of Latin American and Asia/Pacific coffees with a “spicy edge and smooth, mellow depth.” They suggest pairing it with homemade cookies, but since whipping up a batch of cookies was nowhere to be found on my week’s to-do list, I did a quick scan of Sam’s Club for a suitable premade replacement. If you’ve never shopped at Sam’s Club before, let me tell you: Their assortment of fresh baked goods is INCREDIBLE. Cookies, cakes, pies, brownies, and muffins as far as your don’t-wanna-cook-those-things-at-home eye can see. I opted for a six pack of the store’s Artisan Fresh Pumpkin Muffins because my husband is a big pumpkin fan and so am I. While we both enjoy a visit to Starbucks from time to time (he loves their bold-flavored coffees and I’m addicted to their pumpkin spiced latte), this is the first time we’d brewed Starbucks coffee at home. I was curious to know if we’d be able to recreate that same “Starbucks taste” with our modest $30 coffee maker and non-magical tap water, and I was pleasantly surprised with the results. We tasted the coffee first, and immediately understood why so many of our friends had raved about it in the past. It had all of the signature bold flavor that you’d expect in a Starbucks coffee, but it was incredibly smooth and balanced. Thanks to its blended nature, it’s also somewhat complex. A trained palate can detect hints of ginger, pumpkin, cinnamon and nutmeg – all perfect flavors for the holiday season. 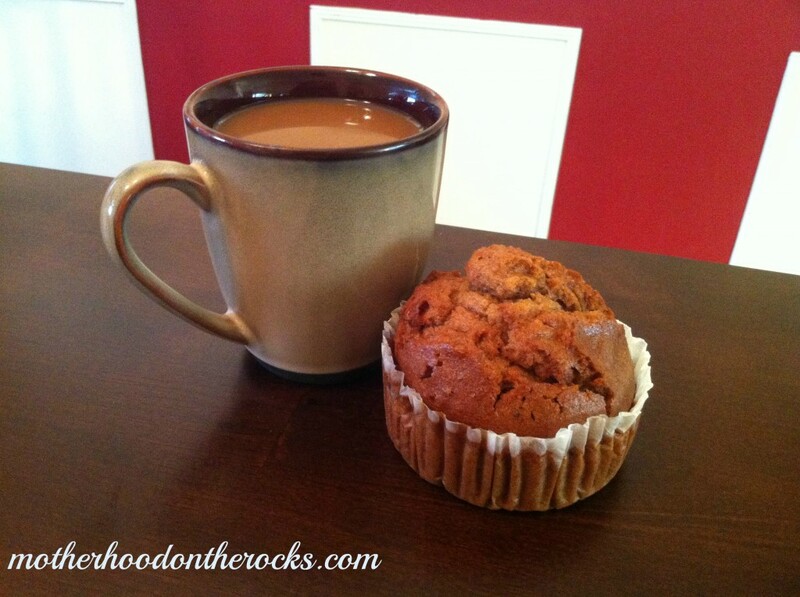 After we topped off our cups of coffee, we tasted the coffee along with the pumpkin muffins. Just like a good food and good wine, the two were a delicious pairing. Something about the muffins seemed to bring out even more of the pumpkin and cinnamon flavors in the coffee, making it taste even better than before! 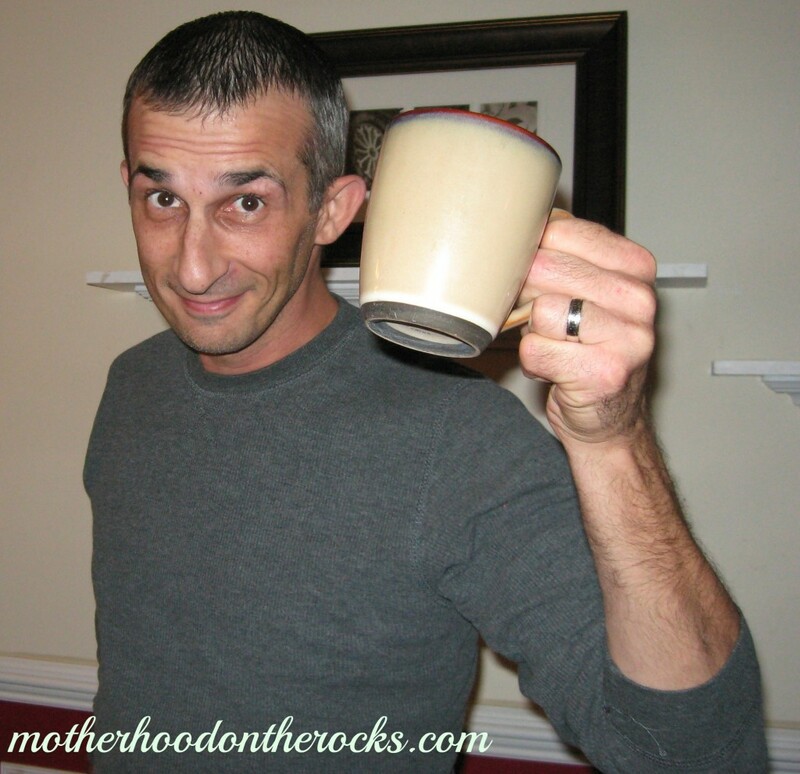 So what did my former sailor think of my Veteran’s Day surprise? In addition to calling it “the best Veteran’s Day ever,” if the two cups of coffee and two muffins are any indication, I’d say he loved it! For those of you who are headed out for some Black Friday shopping and would like to taste these #DeliciousPairings for yourself, Sam’s Club will open at 7am on Black Friday and will greet members with free Starbucks Holiday Blend coffee and Artisan Fresh pastries (while supplies last). I don’t know about you, but I know where I’ll be on November 23rd! I love pumpkin coffee and pumpkin muffins, really anything pumpkin. Thank your husband for me for defending my family in his time of service, he’s a wonderful man! Sadly, since I live in such a rural area there is no Sam’s Club nearby. However there is a Starbucks, and the Holiday Blend sounds so cozy and yummy! Thanks for the review! That has me seriously drooling. Pumpkin muffins?? Yum. Love Sam’s club! I’m sure he appreciated your special Thank You.. And the muffin does look yummy ! I am DROOLING! I love me some pumpkin muffins, yum! And the look on your husband’s face is priceless. The closest Starbucks is like a million miles away from my home 🙁 Sure would love some. Want to share this awesome post.!!! What an awesome combo! I bet it loved it 🙂 A BIG thank you to your hubby for his service!!! Ooh, the holiday blend is out already?! I so have to go get some!! I love Sam’s Club and I LOVE their baked goods. but I’m not a coffee drinker, but Sam’s Club also have an amazing supply of the best Hot cocoa ever! I always get the Hot Cocoa and their baked goods. DELICIOUS!! I love the Starbucks blends but am pretty frugal and stick with whatever is cheapest usually. That would certainly be a treat for me! 🙂 Glad he enjoyed his special day! I love anything pumpkin. Don’t have a sam’s club around here. Wish I did! LOVE LOVE LOVE Starbucks! They make this amazing eggnog latte and I just cant get enough of it during the holidays! 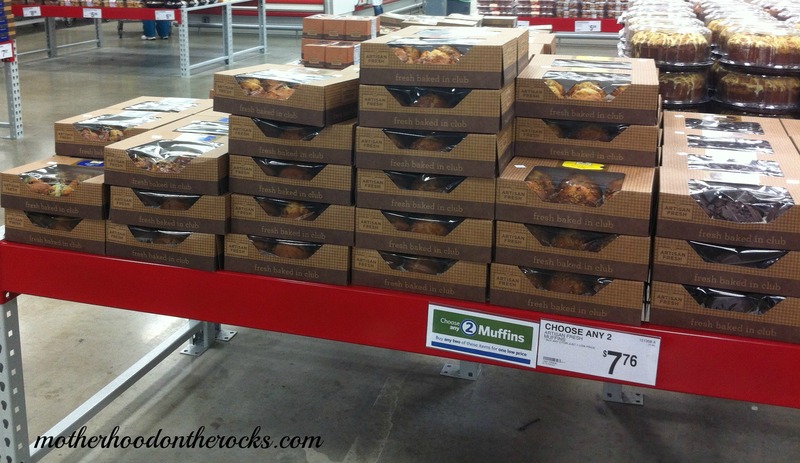 I love pumpkin anything….now I am really wanting some of those muffins. We love this pairing! 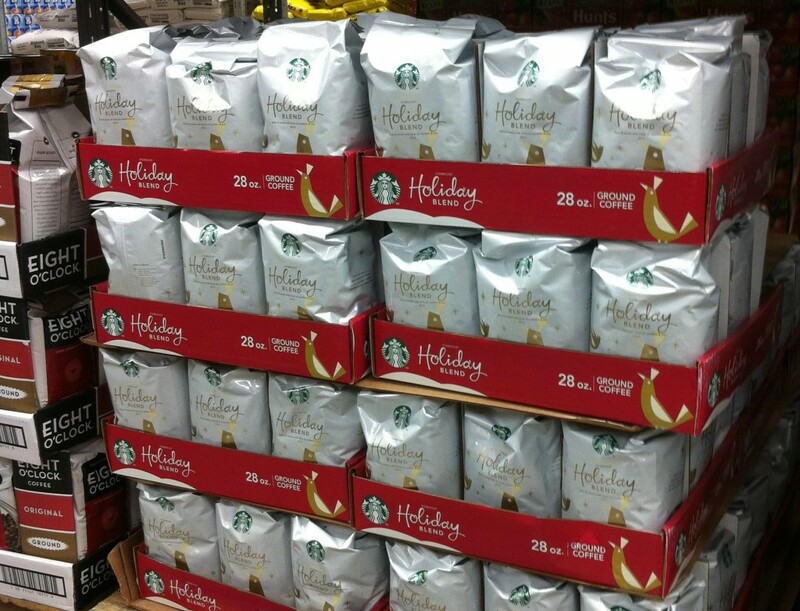 I just stocked up on so much of the holiday blend! Thanks, guys! He was certainly surprised with his breakfast and appreciates all your comments and thanks, too! I’m not a coffee drinker but I always get Starbucks for gifts to family and friends that drink coffee. Your husband looks very happy. Send him my thanks for his service. I’m not a coffee drinker, but David is and so is my mom! This sounds amazing. Guess what will be on my Christmas list? Thanks for sharing! Sam’s muffins and Starbuck coffee??? There is NO better match! Thanks to you and your man for his service. My husband retired from the NAVY after 21 years. I’m a new follower from SITS. And I think what you have done for your husband is great. My husband served in the Army and like you I am proud of that. Tell him, “Thank-you” for serving our country. I would love for you to stop by my little place in blogland and say, “hi”!! Yay, I just recently got a new membership to Sam’s – I passed the Starbucks coffee the last time I was there, but now I have a reason to get it. I can tell my husband, “Oh, I’ve heard really good things about this…” Bonus: I usually get in about a half a pot of coffee before he wakes up, so MORE FOR ME!!! You sound like a very considerate wife. I love how you are caring for you husband in getting him what he loves. Great post!